It's Friday - you have time to read two articles, right? The first one is a confession from a media agency CEO (click here). The individual laments nearly two decades of digital advertising nonsense. There are all sorts of fun quotes in the article, quotes like "... the industry fudges the metrics to make it (display ads) work". An astroturfed confession will not draw enough eyeballs to help a trade journal generate ad revenue. You need a counter point to stir up additional fun. The counterpoint is offered here (click here). The author of this article suggests proficiency in math. And there's no doubt that the author calculated numbers properly, concluding that twenty-five million impressions will generate 350 orders. Let that one sink in for a moment. Twenty-five million impressions will generate 350 orders. The author goes on to divide $100,000 in ad cost by 350 orders, yielding a cost per order of $285.71. It's at this point that the author suggests that the "vast majority" of brands sell at price points well above $285.71. The author demeans folks who don't understand math, drops the mic, and leaves the stage as the ad industry enthusiastically applauds the math. The author didn't take the math far enough. Let's assume a couple of key points ... your mileage will vary. An average e-commerce brand has an average order value of $150 (it's typically lower than this). An average e-commerce brand flows 45% of demand through to profit (maybe a 55% gross margin and a 10% pick/pack/ship expense per order). If you are Best Buy, you flow through half this rate, +/-. A jewelry brand flows-through more. Ok, we'll run a profit and loss statement. 350 orders generated from a whopping 25,000,000 impressions at a $150 average order value = $52,500 demand. $52,500 demand at a 45% flow-through rate = $23,625 contribution. We had to spend $100,000 in marketing to generate $23,625 contribution. This is a net loss of $76,375. $76,375 loss / 350 orders = -$218 profit per order. The author concedes that if the math doesn't work, do something else, so please give the author some credit. But for 95% of my client base, the math/logic outlined by the author would get you fired. A better return on investment would be to burn fifty-thousand dollar bills in a hand-warming bonfire, followed by returning the other fifty-thousand dollars to the CFO to put in a standard savings account. 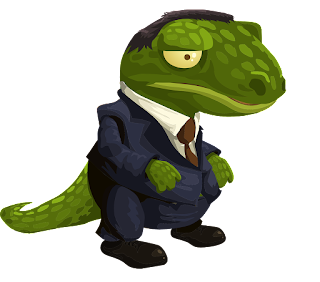 Since the barriers to publishing content have been obliterated, we have been pummeled by advertising lizard logic. Too few individuals understand how a profit and loss statement works. Simple knowledge of a profit and loss statement would stop the rebuttal process, right? So either we don't know how to calculate profit, or we lie on purpose to protect an industry. Either outcome is unsavory. I attended a major industry conference in 2014. A display ad executive spent forty-five minutes with me ... asking me to convince the Executive Team as a major retailer to invest much more in display ads because he could prove that nearly every customer who purchased from the website of the large retailer saw at least one ad. The executive claimed that he should get partial credit for every order. This is also lizard logic. If we're going to go down that rat hole, then Panera Bread must attribute every delicious lunch sandwich to the union workers who paved the road that allowed customers to drive to Panera Bread. Look, I know folks have to make a living. And it is really, really hard to dedicate years to a profession that yields marginal returns, at best. It would have to be painful to work that hard and then be attacked by folks who claim they are being ripped off. But until we acknowledge the lizard logic inherent in so much of the nonsense we read, we are also part of the problem. I realize it is easier to pay for a whopping 25,000,000 impressions than it is to invent a creative strategy that actually causes customers to buy something. The brand response marketer focuses on the latter. Too many of us have been trained to believe in the former.